Create this easy four leaf clover stamp out of recycled toilet paper tubes and dress up your St. Patrick's Day. 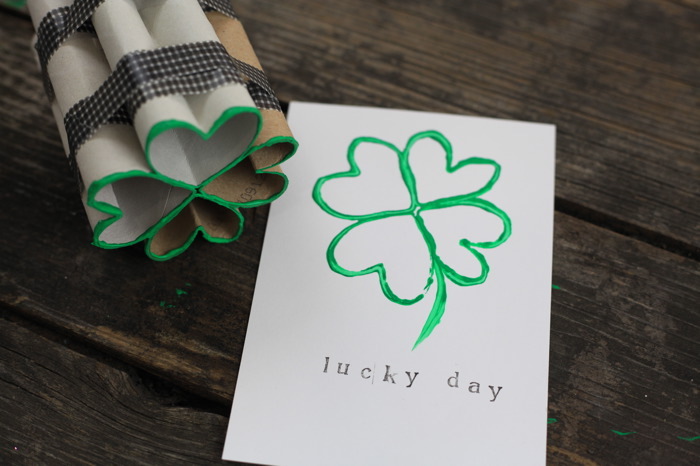 This DIY four leaf clover stamp it great for embellishing cards and pictures. Click here to visit Pretty Prudent and make your St. Patrick's Day rock with this easy-to-make clover stamp.